Something has shifted. Something between The East and The West. There’s a New Frontier and there’s a New Citizenship. L.A Tokyo Moscow London Shanghai Bucharest Bangkok Milan NewYorkCity Seoul Paris Zurich Madrid Berlin Beijing. Aserican are from Everywhere. Aserica. It's Asia - America - and the Whole World in between. The Tree of Life is eternally Green . 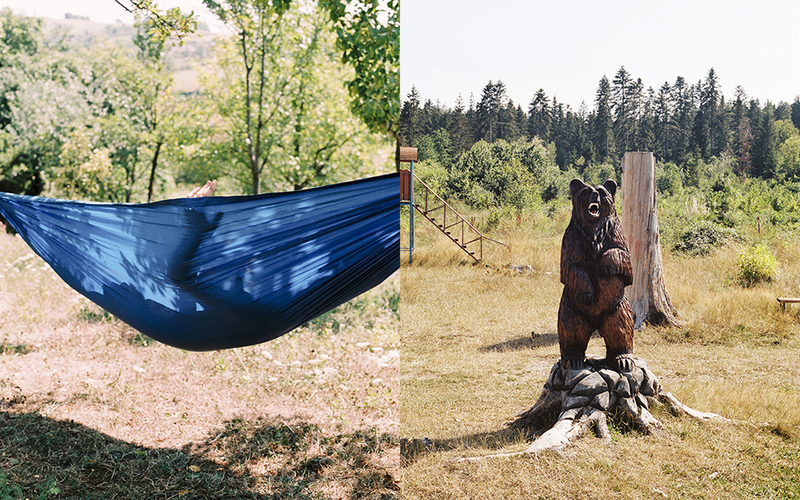 Duo Pascual Martinez and Vincent Saez explore nature and humanity through their lens in Romania. Photography by Pascual Martinez and Vincent Saez, Interview by Xaver Konneker. Pascual Martinez and Vincent Saez, a photography duo from Spain approach their photography through an anthropological paradigm. Together, they carry out independent projects that explore the intersections between human relations, society and nature. They have been the recipients of many Spanish photography awards and are a refreshing energy in the photography world. 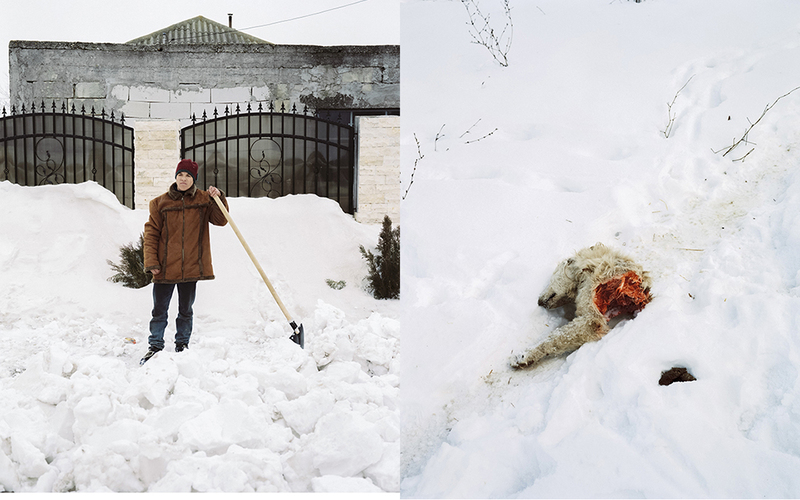 Aserica conducted an interview exploring their new project in Romania, their collective approach to photography and their future. XK: The title of your latest series is ‘The Tree of Life is Eternally Green’. Could you talk a little about the significance of this title in relation to the series as a whole? 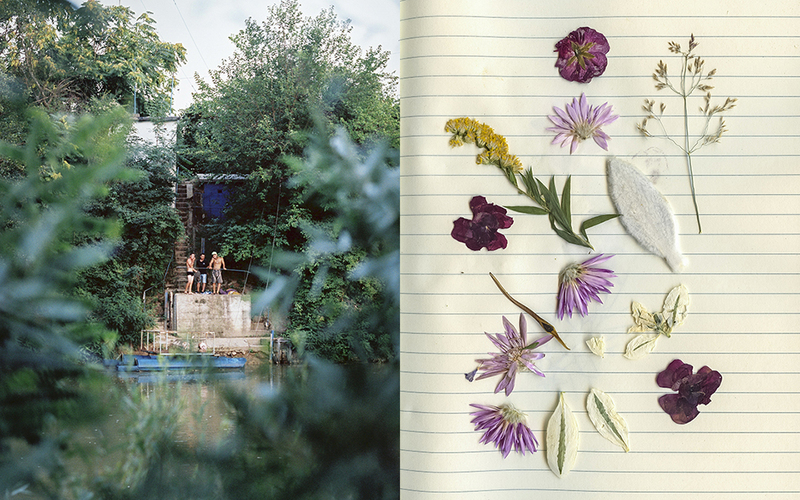 P&V: We describe this serie as an intimate notebook of documentary work undertaken in Romania, exploring the country's landscape and integral connections Romanians have with nature. 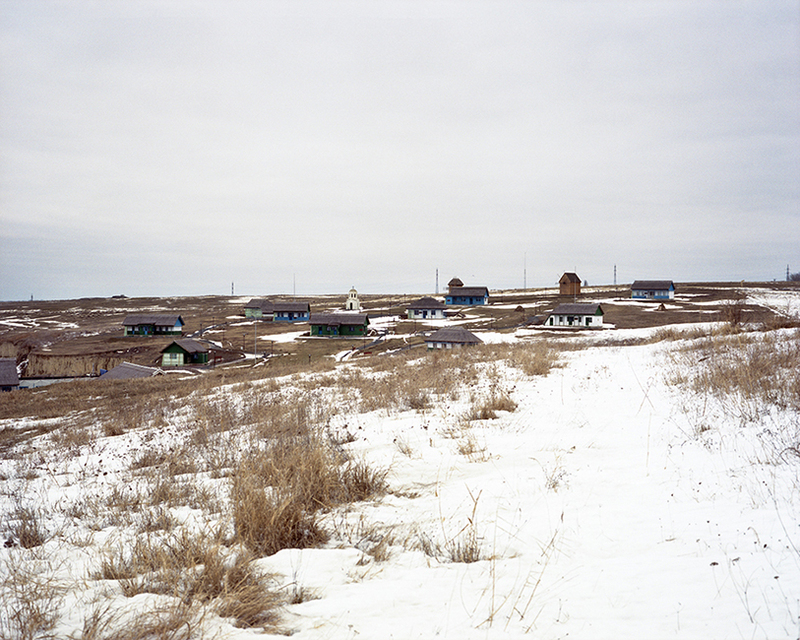 We document a society that is closely linked to an environment that significantly conditions their way of life. But we also want to move this culture away from the established prejudices by showing an objective reality that moves the existing clichés away from the Romanians. We were looking for a title that would reflect that reality in connection with the natural environment and that would nullify any pre-established cliché. It was very complicated and the final title did not come up until after our second trip to Romania. Reading some texts about the communist past, we find one referred to a quote written in Faust, by Goethe: "My worthy friend, grays are all theories, and green alone Life’s golden tree". 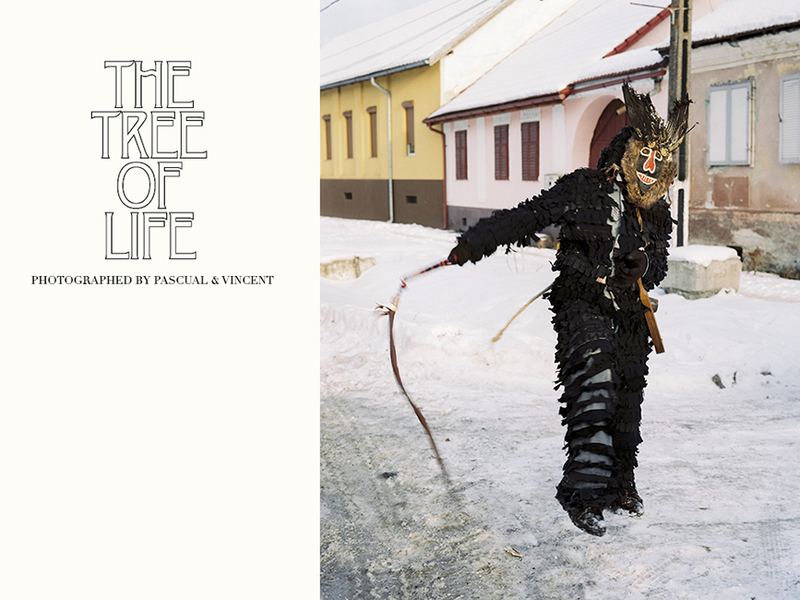 In our mind appeared the multiple and varied representations of the tree of life in Romanian popular culture and joined the idea of exposing a vision beyond the stereotypes and “gray” theories we have because of ignorance. Thus was born “The Tree of Life is Eternally Green”. 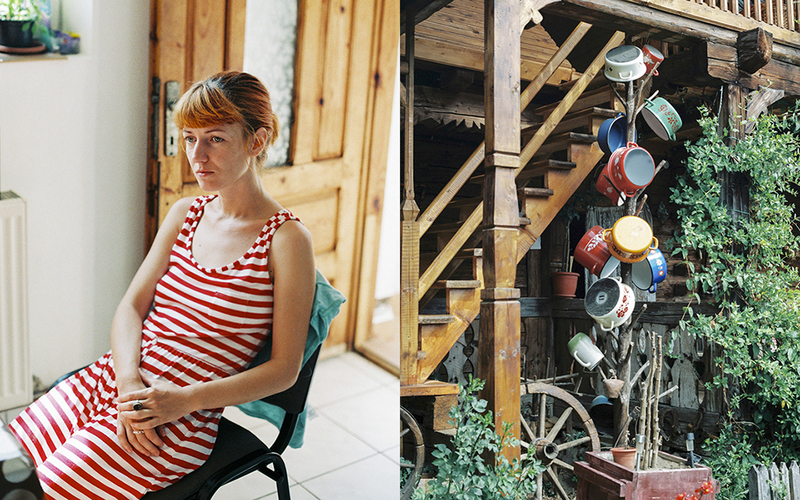 XK: How did you get the idea to do a photo series in Romania. What drew you there? P&V: We decided to take on a larger project with the only rule of going out of Spain. We were looking for artistic residences in Europe where to develop that common work, and focus exclusively on it, and only on it, for a limited time. We found a residence for artists in Bucharest, near Piaţa Romană, and we applied for a work project. During the previous research and documentation process, we were aware of how little we knew about Romanian culture, even though Spain is one of the countries with the largest Romanian immigrant population. Vampires, communism, and especially gypsies, were the subjects that usually were shown to us from Romania, and we undertook the first trip willing to ignore the clichés and show a more positive vision. 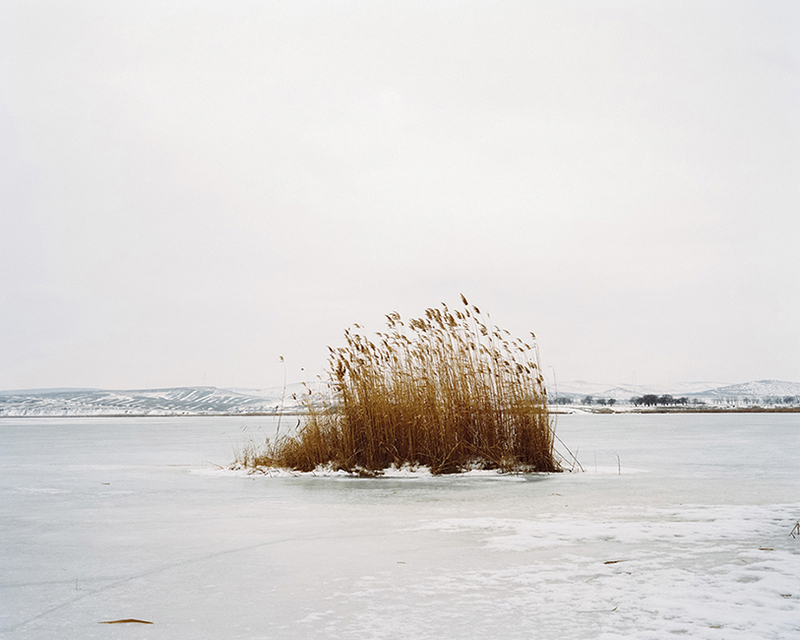 We were interested in the relationship that Romanians have the environment that surrounds and conditions them, and we intuited that it would also be interesting for our audience. XK: How long did it take to complete this project? P&V: We started working in the artistic residence in Bucharest in July 2014. 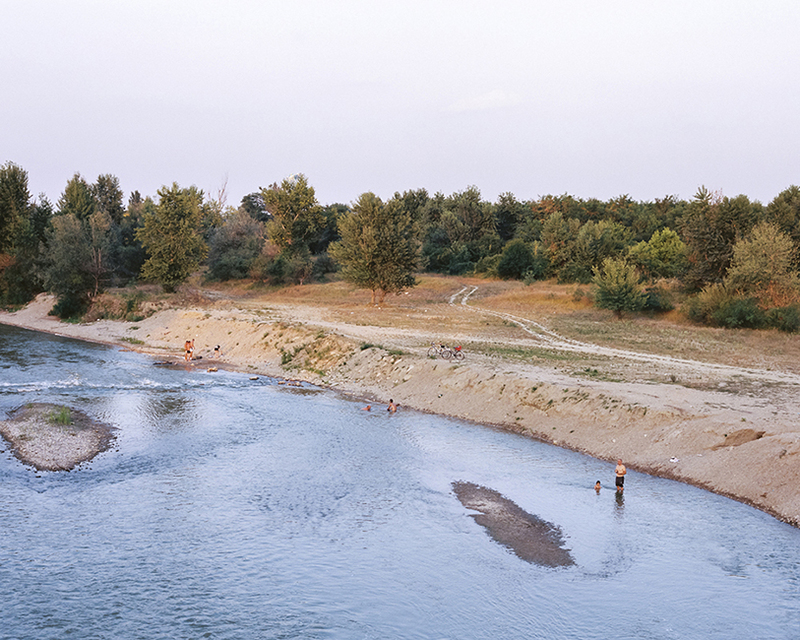 Herăstrău, Tineretului, Cişmigiu, Kiseleff, Carol, Titan ... are some of the great parks of Bucharest that we toured, observing and registering with our cameras how the Romanians made life outside of the communist blocs, interacting with nature. At the end of that month we presented the result of our residency in a Gallery in the city of Brasov, in Transylvania, and there we had a first contact with the most rural Romania that contrasted with the chaotic capital that we already knew. We returned a year later, between July and August 2015, changing our work strategy. Aware of the limitations we had on the first trip and looking for a closer contact with people, we traveled the country from south to north, by bus, train, taxi, hitchhiking, walking ... From Bucharest to Iaşi, passing through Sibiu, Roşia Montana, Cluj-Napoca, Baia Mare, and the Maramureş region, we enter the most rural areas and seek direct contact with people who have a direct involvement with the natural environment, either culturally, through their work, or conditioned by their livelihood. In January 2017 we came back just after a cold polar weather that had covered the country with snow and ice. 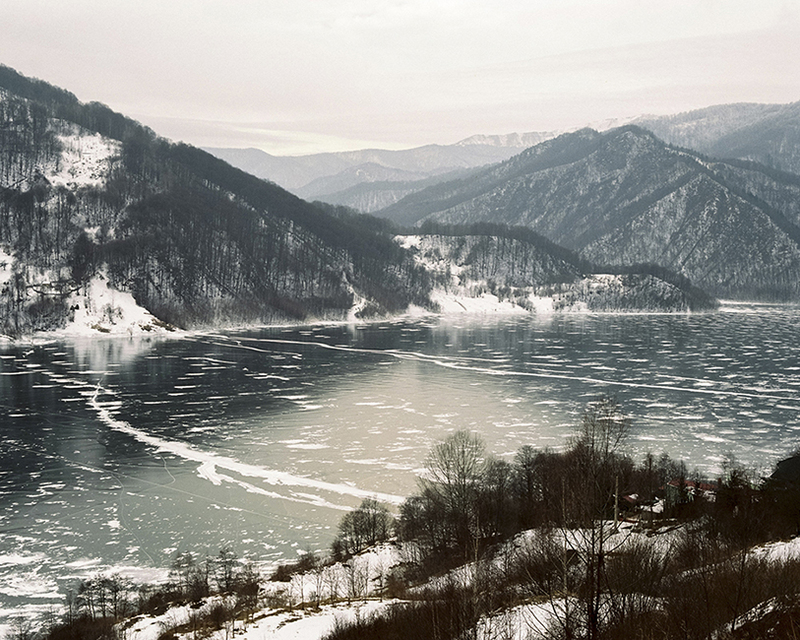 During that month we toured the Danube Delta and delved into the Transylvania area, working with temperatures between -6 and -23 degrees Celsius. There is a fourth trip made between September and October 2017, but where we focus mainly on other projects arising from the previous one, although some photo of this period was included in the final work. And the fifth and most recent trip is the one we made in September of this year, where we have dedicated ourselves exclusively to new projects, in addition to meeting all the friends we now have in Romania. XK: Your project moves from winter to summer, showing first dead trees with little or no hints of green. Given the title of you series, why did you choose to represent these two seasons in this way? P&V: From the beginning we wanted “The Tree of Life is Eternally Green” to be a sensory work materialized into a physical object that could be seen, read, smell, touch, hear, feel ... and invite you to travel mentally to the landscapes that we had known, between fields of corn, forests of centennial oaks, smoke in the valleys, birds, flowers, snow, water, sun, life and death ... And we propose the series according to the narrative of the photobook we made with the English publisher “Overlapse”, in a circular structure, such as the seasons of the year, which starts with the icy images of a gray winter, which gradually evolves, with the rhythm of nature, towards the green and wild explosion of the spring and summer photographs. It is our interpretation of Goethe's quote that we talked about, taken to the metaphor of the evolution of cold, dead and gray to warm, green and alive. 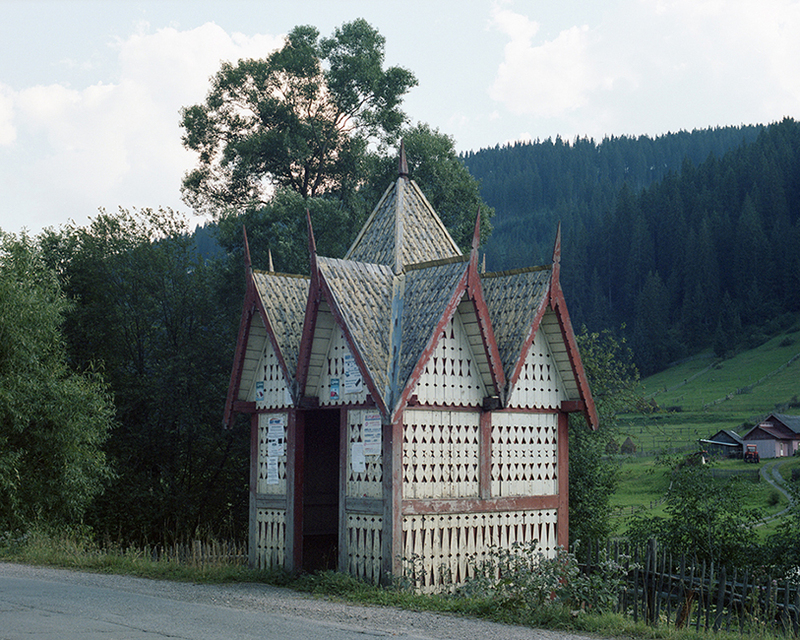 XK: In the description of your series you state that ‘you attempt to see the essence of things in the uncomplicated gestures that make up a story both complex and simple at once’. Could you elaborate further on what exactly is meant by this? 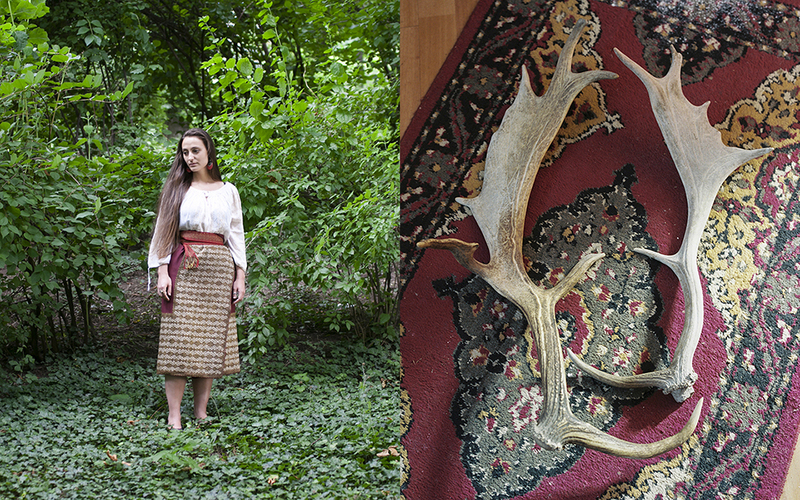 P&V: With this work, we have discovered a lot of things about humankind's relationship with nature, not only in Romania, we have learned much about own relationship with nature. There are different ways to understand this relationship. Nowadays in many countries, there are a lot of approach movements to nature and sometimes it's only a transitory movement, a fashion or a way to feel better with the world. But with this work, we have understood that to respect the nature it's to respect the earth and built together a better world for everybody beyond big words. 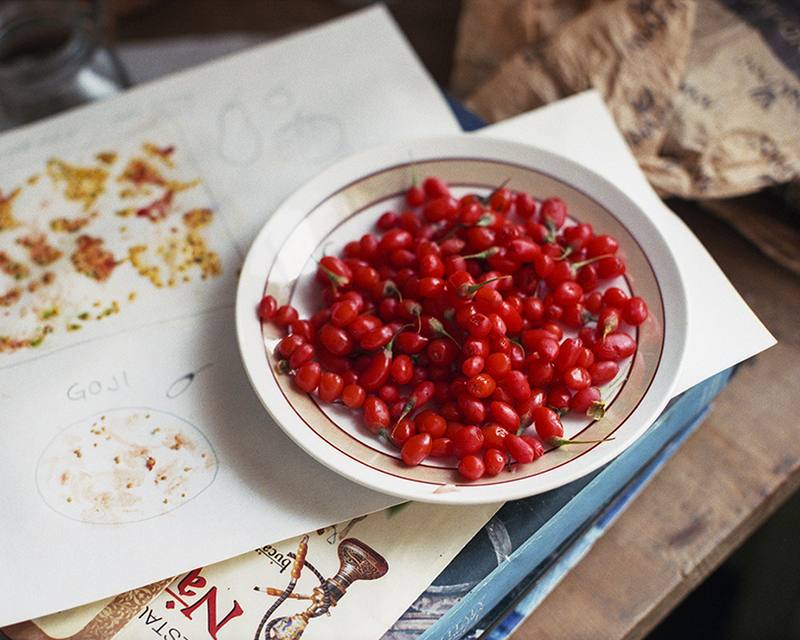 Going deep into this aspect, we can understand many things about us, our roots, our history and human behavior also. And you start to make the questions that you have never done before. Your logical thinking move to another point where maybe you never had gone. Nature is our font of life and the humans are watching to other places. XK: Given the highly individualistic approach that is so common in photography, your choice to work together on one photographic project is relatively unusual. Could you elaborate on how this collaboration came about? What made you decide to work together? And what are the benefits and limitations of approaching a project as a pair? P&V: When we met in 2013, we discovered common interests and concerns, so we decided to try to do small joint trials. “The Tree of Life is Eternally Green” was the great joint project that we decided to address when we verified that our ways of working could be complemented. The profession of photographer is often very lonely, and the individual merit of the author seems to prevail over that of a work group. We decided to assume authorship together, as well as merit, successes, doubts and mistakes. We renounce the individual authorship of the different parts of the process, allowing the sum of our views and aptitudes, addressing the challenges from reflection and dialogue. Many people ask who made each photo, and we never say who the author was, because we do not consider that the simple act of pressing the shutter in the camera directly assign authorship to the photograph. Before and after that act there is much more work, and it can be done indistinctly by anyone of us: conceptualization, documentation, research, processing, editing ... We have also reached a point of coordination where our eyes are so interpenetrated, that many times, when we observe the film in the light once revealed, we are not able to identify ourselves as the material authors of the photographic shot of many photos. In addition, confusion is frequent when we share our medium format cameras indiscriminately, and it is not a question that creates conflict, but we laugh at that confusion. And working as a duo does not necessarily duplicate the benefits, instead, teamwork helps to fight our individual doubts and insecurities, and that is very satisfying. But there are also disadvantages of collective work, such as the limitations of access to certain calls, prizes, contests or scholarships, which only value the works of individual authors. XK: Where do you guys see yourself progressing artistically in the years to come? P&V: A few weeks ago we read an interesting article in The Guardian titled "What next for photography in the age of Instagram?" The article reflects on a topic that we talked a lot about, such as the uncertainty of the future of art, more specifically photography, when we are in the era of social media propelled by the image, with an overload of images that could detract from its value as art. But this situation makes us reflect a lot and develop deeper artistic approaches in every new work, aware of how fast this environment is evolving and covering more open disciplines and hybridizing them with others such as painting, the sculpture, or the audiovisual. We like to experiment and use new tools aware that our way of photographing does not stop being a language in constant evolution parallel to our personal evolution and artistic development. Maybe in ten years time the photographs of our work will be made with mobile phones that include the latest generation cameras with similar quality to our current analogue format cameras, but our way of seeing the world, understanding, reflecting on, and document through our stories, will remain the same, we expect.